It’s the place industry leaders, transformers and game-changers go to Get it Done and Get it Out There. Do you want access to the the marketing and promotion strategies that have created dozens of New York Times best sellers along with the world-wide recognition that follows; or shorten your learning curve and implement “what’s working now” ideas from the smartest, savviest leaders in our industry? Perhaps you need the branding, packaging and positioning insights that build worldwide platforms, or you want to collaborate with the most successful health experts and entrepreneurs who are thinking differently, transforming their lives and creating impact-driven businesses that change the world? If so, you’re looking in the right place. I hope as you read this you have a bit of that excited, energized, and well… maybe even uncomfortable feeling we get in our stomachs when we’re close to a breakthrough. That’s how I feel when I’m challenging myself to go to the next level. I’ve learned to embrace that feeling, because it always means a major breakthrough is right around the corner. My guess is you’re here because you’re searching for ways to get to the next level, too – in your business or professional life, maybe in your personal life, and you recognize you were put here to create a positive impact and make a difference. Are you ready to take it to the next level? Perhaps anxious to get started as quickly and efficiently as possible, because none of us have any time to waste? Fortunately, you have at least two viable paths. Each with different probabilities of success, and different timelines. You can persist independently, figure it out as you go, learn from your mistakes, and with perseverance and hard work, reach your goals. Or, you can find people who’ve already accomplished what you need to accomplish, made the connections, developed the relationships,figured out the process and are willing to openly share their successes and failures with you, committed to helping you create a massive breakthrough in a relatively short period of time. Both require hard work and tenacity. But when you leverage a mastermind group, you enjoy much greater clarity, confidence, focus and support than when you go it alone. You also accomplish things faster, with fewer mistakes along the way. For many on this path, their opportunity grows in ways they may not have even expected – like it did for my good friends, Dr. Tom O’Bryan, Dr. Kellyann Petrucci, or Dr. Izabella Wentz. Personally, I chose the second path. I didn’t want to repeat any mistakes someone else already learned from. I didn’t want to waste valuable time trying to figure it all out. I just wanted to get to work, sharing my message by following proven, well traveled steps that would help me launch what is today something I could only dream about 10 years ago. You actually have a lot in common with many of the most successful people you’ll meet at this year’s Mindshare Summit. They all started with just a dream, that became an idea, and ultimately a brand and business success. They all lacked the skill or experience to get where they are today. They all sat at a table with other health and wellness experts – and felt the enormous potential, but didn’t know what to do next. The only difference? They made a decision. Today, Mindshare Mastermind is the highest-level, most exclusive and most comprehensive mastermind in the world for health and wellness experts. 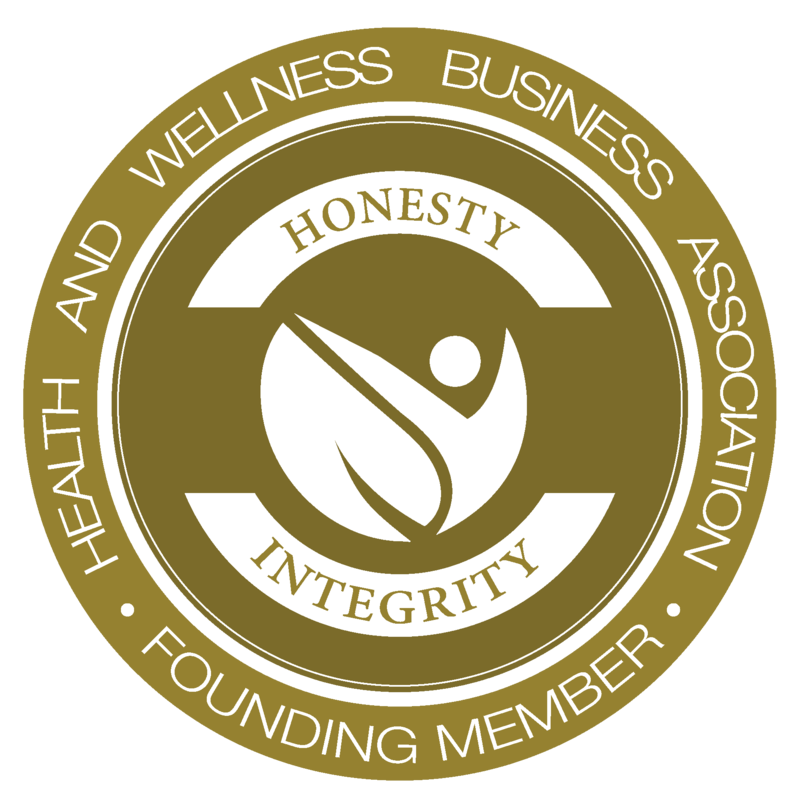 Its members have included many of the top health and wellness influencers, entrepreneurs and brands you already know. They’re best selling authors, media celebrities, even investor backed 8-figure businesses. Yes, Mindshare Mastermind can put you on the path to 10x your business and connect you to a network of the most successful health experts. But there’s something equally important: the potential to impact millions of people around the world. Think about that for a moment. Then accept that what you are thinking and feeling right now was thought and felt by every one of the experts that has gone before you. I started the Mindshare Mastermind with this in mind: You’re not just joining a mastermind. You’re designing your legacy, your difference and your future – and you’re doing it alongside the most successful health experts today. Your next level is beyond what you may even imagine right now – and the Mindshare Mastermind is your express elevator to it. If you’re reading this, then obviously you know your future is ‘worth it’. So when you say to yourself “Yes, I am investing in myself and my future TODAY,” get ready for your life and business to positively transform. If you’re ready to compress time, to solve big problems fast and to 10x your business, in a community where you’re surrounded by supportive, like minded peers who are on the journey with you; where you’re positively overflowing with patients and clients; where your message is impacting millions; where your legacy – the one you have started shaping right now — is so bright it’s a shining beacon of what’s possible when you say “YES” to the business and life you know you deserve and were put here to live, then I invite you to apply for Mindshare Mastermind – where we can take this amazing journey together. Beyond just collaborating and having a ton of FUN with your peers at these remarkable retreats, you’ll be discovering the latest strategies, tools and techniques to increase your reach and the people you serve, create a lasting impact and experience more personal freedom. You’ll also get structured masterminding, hot seats and a chance to get your most pressing questions answered. Then, there’s the down time to unwind and recharge. Our private Facebook group gives you a place to stay connected with your fellow members and discuss the best “what’s-working-right-now” business and marketing strategies, technical “how to” questions, and vendor / tactical recommendations from your fellow members. Most entrepreneurs struggle to stay focused and accountable, because it’s our nature to give and support others, or reinvent ourselves, even before our first idea is fully realized. Mindshare Mastermind members share their goals and keep each other’s momentum going with check-ins and accountability calls. You’re never alone. Office Calls are your opportunity to ask Karl, JJ, our mentors and guest experts your pressing questions and get actionable answers. Each session is recorded, so you can refer back to it or catch up if you weren’t able to attend live. (But you will want to make these calls so you ask your questions and get answers.) You don’t need to wait until the next retreat to solve your problems. We’re here to help right now, when you need it. And, when the collective group can benefit from more specialized teaching, we’ll secure the expert(s) and host a special training. You’ll have on-demand access to past training calls, event recordings and new, leading edge business and marketing strategies before they are generally known, including third-party trainings made available exclusively to our group. As we develop tools during the year, we’ll share them with you. Tools like SOP templates to standardize your operations, a sample KPI Dashboard – so you can measure (and manage) what matters, and Zapier – so you can make your different automation tools work together. The Mindshare Summit is a one-of-a-kind experience attended by the most successful health entrepreneurs. This, exclusive, invitation-only event is a shortcut on your journey to success. It’s the catalyst for impacting millions of people with your message and the best place to network with peers. Spend private time with the speakers, sponsors and other Mastermind VIPs. This exclusive reception is your ticket to network with some of the best, brightest and most connected people in our industry. This access alone could be worth your entire investment. Before the Mindshare Summit Gala, you’ll network with other VIPs at the pre-party, where new friendships are formed, business deals are made, and lifelong connections are created. Imagine getting to ask two of the most successful health business experts what you should or could do to solve your most pressing problem – and have them talking through the problem with you? These calls are priceless, saving you valuable time and providing insight money can’t buy at any price. When you need to quickly find an answer or solve a critical challenge, Karl and JJ have your back. These 30-minute SOS calls are designed to take you from frustration, worry or panic to BREAKTHROUGH in 30 minutes or less. This group is about working smart and playing big, building a lifestyle business and having fun with like-minded people on a similar journey who understand what you are going through. Successful people are focused at work, learn how to disconnect, have fun, and build strong relationships. We’ve built the fun factor into this program with amazing excursions and one-of-a-kind experiences that will allow you to connect, play and grow close meaningful relationships with your colleagues. Some will become your closest friends who you’ll soon consider family. You will be amazed to see how much more you will accomplish together when you have fun with people who really “get” you. Hear from JJ, Karl and Mindshare Mastermind members why this program is different than other coaching / mastermind groups. really get your business dialed in, JJ and Karl are here for you. One of the smartest decisions you can make for your business growth and profits is to spend concentrated, focused time in a room with the top people in our industry. The problem is being able to pin down busy, successful people to have any sort of valuable time with them…until now. Our members have the opportunity to purchase 1/2-day one-on-one coaching with JJ or Karl, two of the most sought after health business experts. You’ll quickly get unstuck and leave with total clarity, a clear plan and actionable steps to move forward. These meetings are among the most intense, insightful, fun, and productive you’ve ever had. It’s a fact of life. Action takers see more action and face more challenges. For you, it won’t be an issue with additional SOS calls at the ready. Health / Spa retreats, Grammy outings and more! Sure, this is about amping up the fun factor and living large, but you’ll be amazed at the incredible connections you’ll make when you get around other people playing at this level. Still not sure if the Mindshare Mastermind is for you? Here's what a few of our members have shared to help you determine if Mindshare Mastermind could be right for you. “… this has been my dream… realized by following (JJ’s) strategy. Bottom line – JJ over-delivers… the community is like a second family. If you're ready to take your business to the next level, up-level your close circle of friends, and achieve more in one year than many accomplish in five, then you are invited to complete a brief application by clicking the link below, and speaking with Karl or JJ about your goals, opportunities and obstacles standing in the way of realizing your full potential.